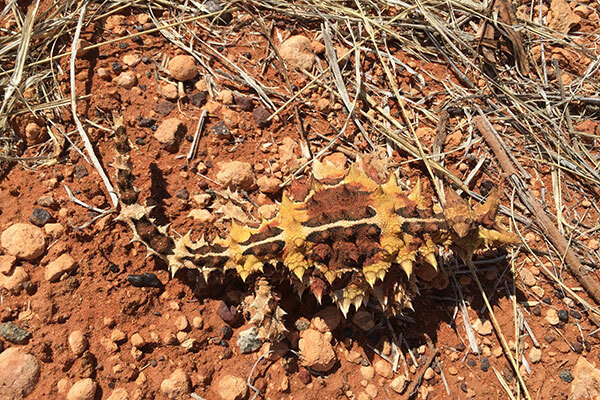 Finding a wild thorny devil has been a dream of mine since I first saw pictures of these almost unbelievably weird lizards as a child. My top goal for this month-long trip to Australia was to finally find one after I struck out on three previous trips to their range. 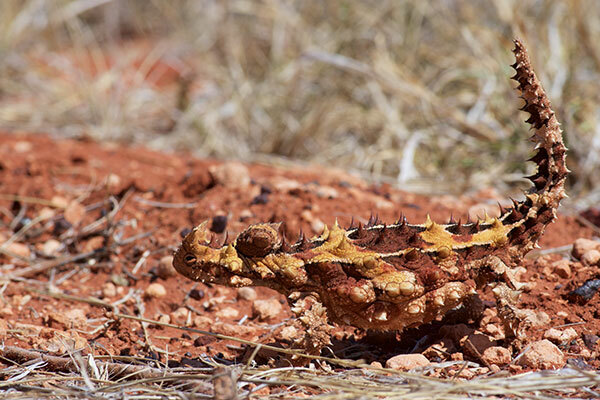 As such, I studied maps with sighting locations, I researched what time of year thorny devils move around the most, and I asked many people for advice on where, when, and how to look. 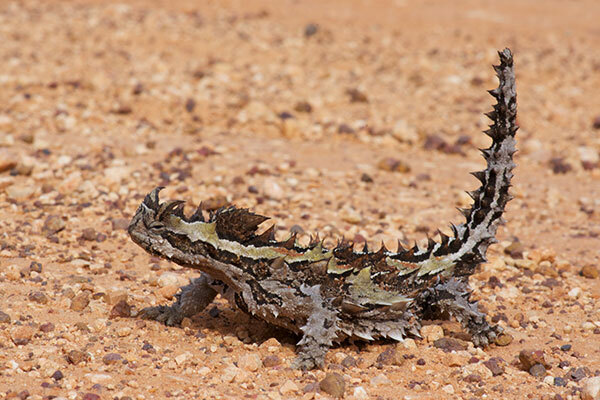 This all paid off on my first morning in thorny devil territory on this trip, when I pulled out of the Erldunda gas station, turned onto the Lasseter Highway, and almost immediately saw this crazy reptile strutting and swaying its way across the road. 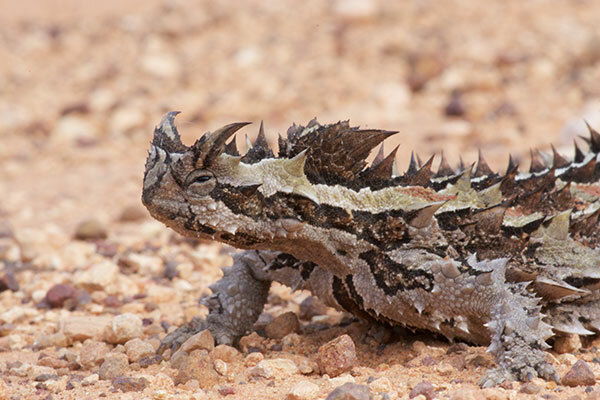 I simply could not bear the thought of it being squashed there, so it is possible that I violated the letter (but not the spirit) of Australian law by assisting the li'l devil off of the pavement. 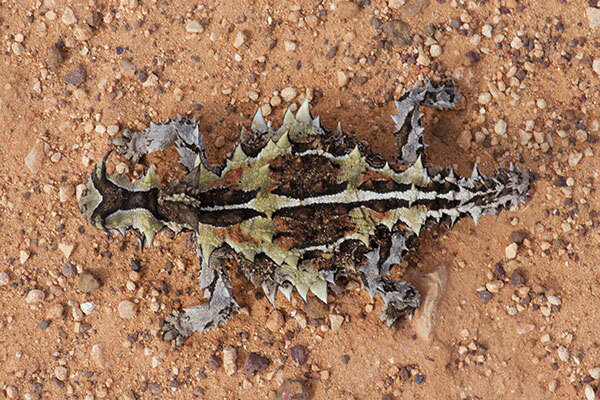 Two days later I saw another, this one around dusk. It was also crossing a road, but it was close enough to completing this task that it seemed safe. So I took my photos and I left it there and I slept very well that night. 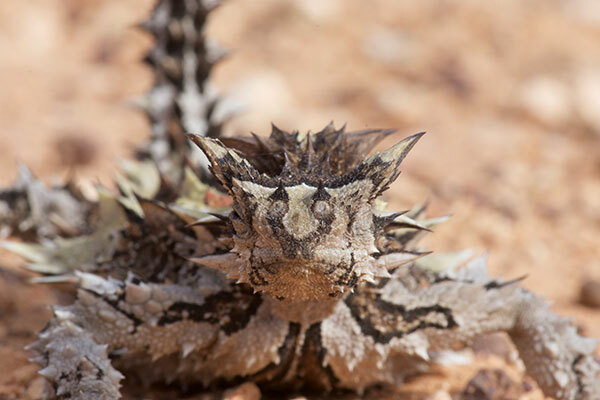 Two weeks later, I was once again in thorny devil territory in South Australia, and you will never guess what I found in the middle of a gravel road in the late afternoon. No really, you will never guess. Just try to guess. Damn, you're right! How did you guess? 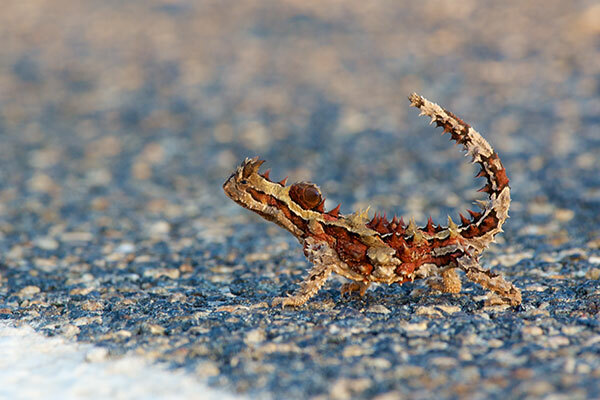 Most observations of thorny devils are on roads, because they are nearly impossible to see when they are motionless on the desert floor in the mottled shade of a plant. Which is where they usually are, when they are not wandering across roads.